The recurring trend for 2017 countertops continues to be a dominance of natural stone colors; particularly veiny stones like marble, quartzite and quartz or speckled ones like granite. For this reason, it’s so important to fill your containers with slabs that meet this ever-growing demand. Whether the slabs are natural stone countertops like granite countertops, marble countertops, quartzite countertops, or the engineered, but also quite popular quartz countertops, you want to make sure that your containers contain sufficient examples of the stones that dominate the market. White stones colors continue to be popular for both bathroom vanities and kitchen countertops for the clean and open feeling that they generate in a room. An expansive open floorplan kitchen is inherently complemented by white countertops and customers often seek a wide selection of white stone color options when visiting the slab yard. Off-white, with beige, natural color options such as Fantasy Brown Quartzite or Colonial Gold granite seem to be creeping towards the top of the charts, so every container should have a selection of these slabs as well as the white stone options on the market. Slabmarket has a variety of popular natural stone colors to select from, but do not limit yourself to one type of natural stone to fill your containers. Customers can only make an informed and positive decision when selecting a stone countertop when they can see and touch all of the popular stones on the market. Granite and Quartzite provide great options if your customer is looking for a stone with a lot of character, but with extreme durability. They are veiny stones that are known for their uniqueness and are often considered a piece of art that you incorporate into your overall kitchen design. Both granite and quartzite are strong and resilient stones that are heat and stain resistant. 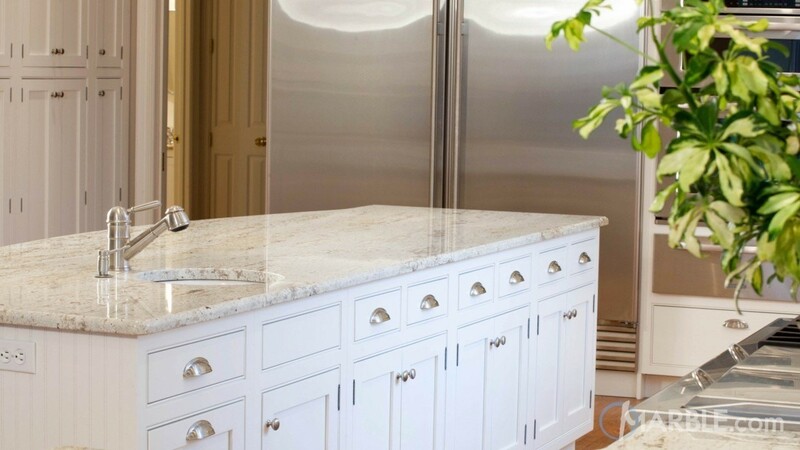 With sealing 2 times a year, granite and quartzite countertops will continue to look great in your kitchen. Quartzite is mostly sourced in light gray and white colors, while granite can be found in a wider range of colors. Granite is ultimately more durable than quartzite, but both are popular stone options that will last for an extremely long time. 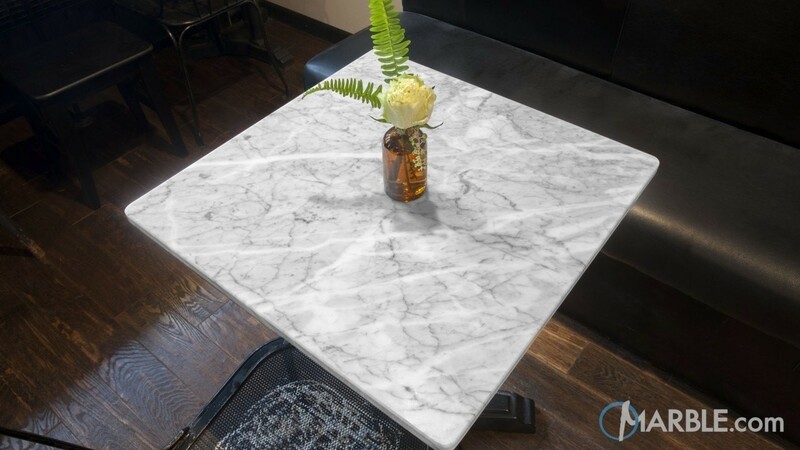 Marble continues to be in high demand despite the level of maintenance it requires, so you will need to make sure that your containers always include some great slabs of marble. 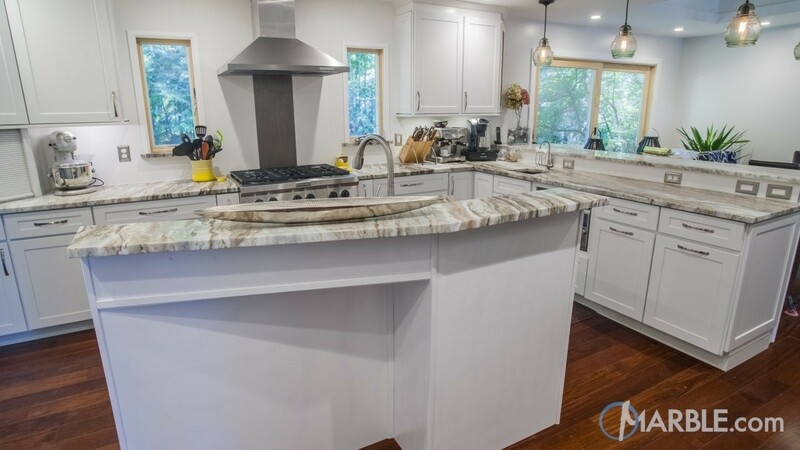 The beautiful look of marble counters characterized by their swirls and veins scream luxury and, for some homeowners, they are willing to use a bit more care to keep their marble countertops because they will not compromise on the material. Statuario Marble will always be a strong choice for homeowners looking for marble. It is a timeless stone that will always impress. Quartzite and Granite are veiny stones that are often selected as alternatives to marble, and quartz is an engineered stone that can mimic the look of marble with virtually no maintenance at all. While mimicking the look of marble, quartz is often found with beautiful patterns and veins. Many kitchen designers will suggest adding a bit of Statuario Marble as an accent piece in the kitchen in the form of a baking station that will receive less traffic than the main part of your kitchen. This is a way to add a nice layer of depth to a kitchen design without worrying about the upkeep of marble in the entire kitchen. Slabmarket is your perfect source for quality stones. We offer all of the popular natural stone colors on the market, and by filling your containers with popular stones like Statuario marble, Classic White quartzite, and Fantasy Brown quartzite, you will be meeting the trending demands in the market for beautiful veiny stones.